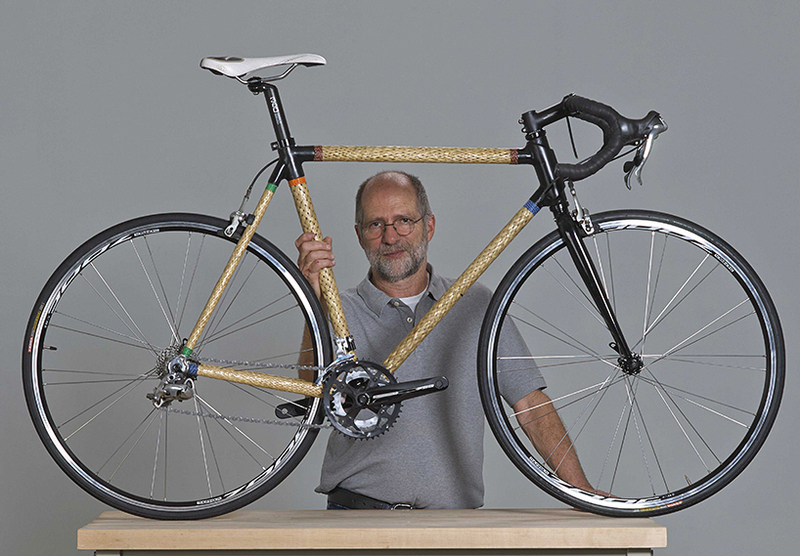 What would it take to make bamboo bicycles more exciting? 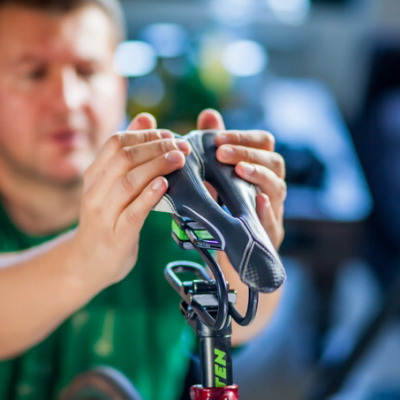 Lance Rake thinks a wickery weave could change bike design for the better. Rake is an industrial designer and researcher at the University of Kansas who has been exploring bamboo materials for years. His aim is finding new structural options for the ancient grass, to make modern fabrication options more sustainable—and more interesting. 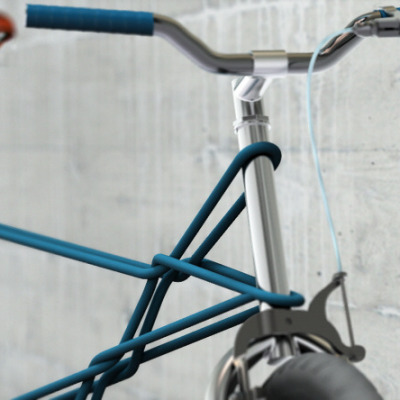 And the HERO bike project is certainly more interesting. 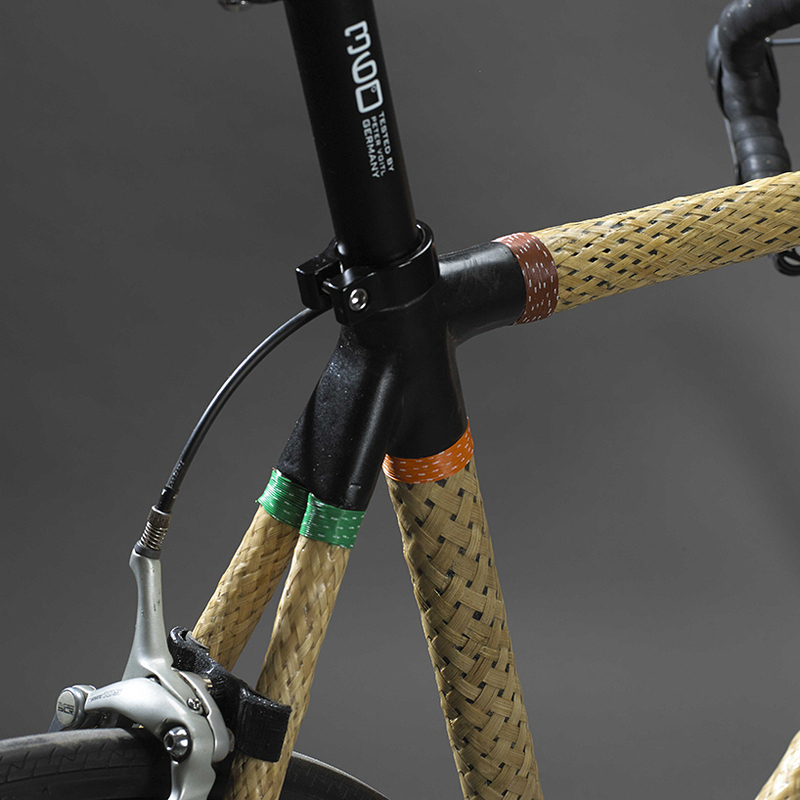 Bamboo is already a common construction and frame material in parts of the world where it is natively grown and worked, but it's a relatively cumbersome novelty in the international bike market. The impressive blend of strength and flexibility makes bamboo a desirable replacement for many other fibers and metals, but the density of the bamboo culm presents a strength/weight dilemma in bike tubing. Bikes these days have to be both light and dynamically tough. 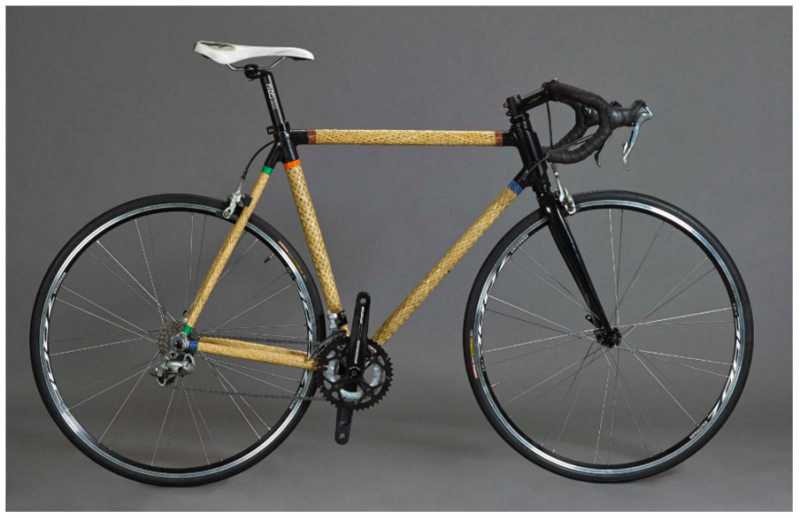 With this in mind, Rake has developed a woven and laminated bamboo tube that offers many of the appealing strengths of carbon fiber, with added resilience and a more resource-conscientious footprint and a much thinner wall than common bamboo bike tubing. 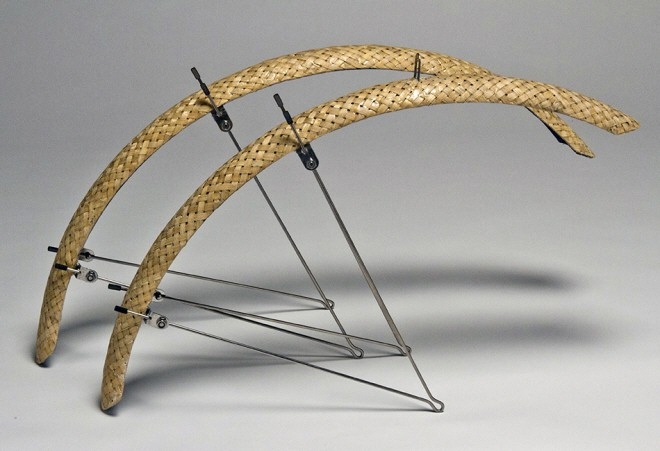 Though he started with a traditional road frame design, this woven HERO prototype would allow variability in tube dimensions, and offer a range of shock absorption and stiffness that sounds similar to more familiar steel and carbon characteristics, while still shaving weight compared with solid bamboo. Many of Rake's previous projects (like the Semester bike) used traditional bonded bamboo tubes or composites of thicker bamboo planks, and this iteration takes their environmental aims to a dramatic new level. The current version of the finished HERO Bike weighs in at 19 pounds. 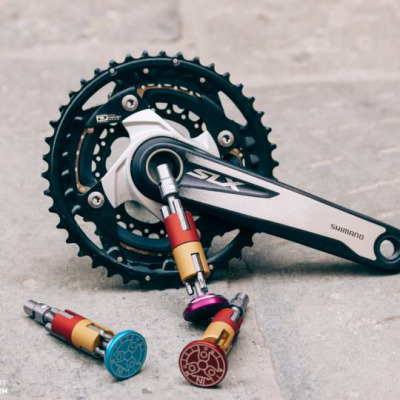 With a traditional sleeved bottom bracket, seat cluster and front end that's an impressive amount of strength and weight savings for a material we're used to relegating to garden furniture. 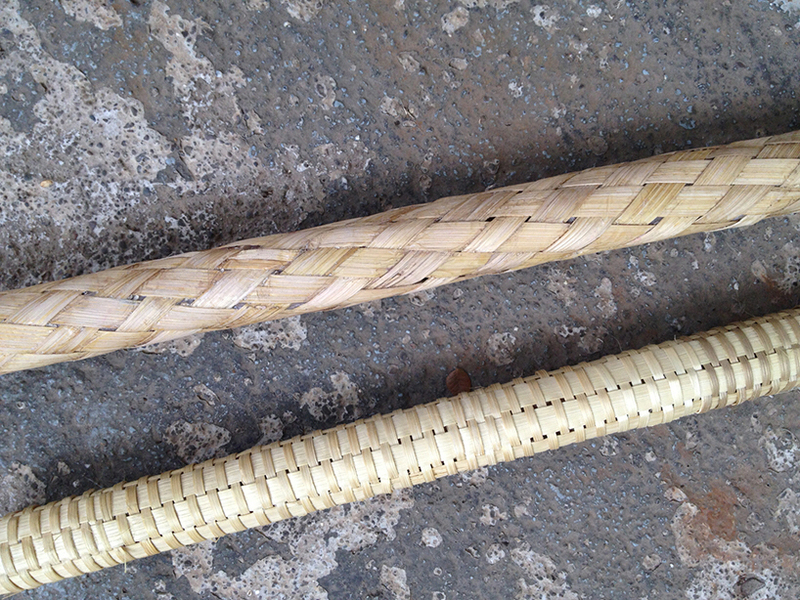 Have you worked with woven bamboo? Would you consider testing a woven frame? Or would you have to be a basket case? Bending fibers into a weave (especially with thicker "bundles" of low modulus fiber) decreases stiffness and increases flexibility and chance of load collapse. Seems counter intuitive in this application. I can’t help thinking that this is solving the wrong problem. Most of the heaviest parts of the frame are still in metal—the bamboo only replaces the straight, simple tubes, which are relatively low in weight anyway. Plus, the weight of a bike is really not that important for anyone except racing cyclists. 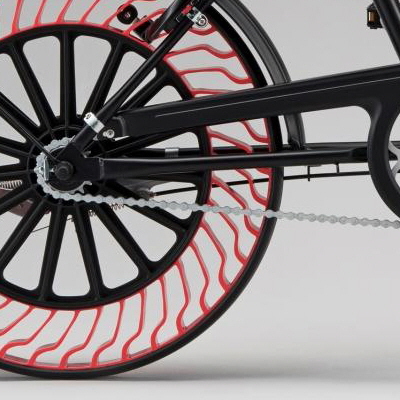 I’d be far more interested in a system for recovering energy lost in braking, to reduce the total effort required in start-stop urban cycling. That would actually add to the weight of the bike, but would increase the cyclists average speed and improve comfort. I like the idea of replacing mined materials with grown materials, but when most people are still getting around in two-tonne masses of steel, making already-spare machines a tiny bit less metal-intensive seems like a lot of effort for small gain. Cutting the weight of car wheels by even 10% would save way more total metal mining and refining. Kudos to the designer, and I’d love to see that woven bamboo in lots of other applications—I just think the same ingenuity and effort could have far more impact elsewhere. I run a makerschool/design collaboration called Mind's Eye Manufactory on California's north coast. We explore and combine diverse materials and techniques, always with an eye towards things human-powered and hand-built, utilizing nature's elegantly simple answers. We build a lot of traditional skin-on-frame kayaks, for example, and are now eager to develop a bamboo bicycle building element. We've had a Herobike kit for two years as we wait for the right moment. Is there any interest out there in coming out to get something going with us? Check out Mind's Eye Manufactory on facebook. Q: Have you worked with woven bamboo? A: I've made bikes using full culms. Q: Would you consider testing a woven frame? A: I'd be happy to test it, but I expect that it would not be as strong as using natural culms.